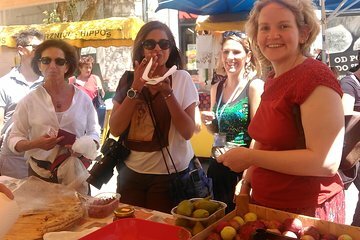 Explore Split’s lively food markets, and enjoy a delicious introduction to Dalmatian cuisine, on this small-group, culinary-minded tour. Be sure to come hungry: you’ll do plenty of eating on this lunchtime tour. With your guide, visit the city’s fish and vegetable markets, and pick out the ingredients for your meal. Then, head to a local restaurant, where your selections will be taken to the chefs. You’ll also sample other Dalmatian nibbles—including cheeses and cured meats—and will indulge in a guided tasting of local wines.